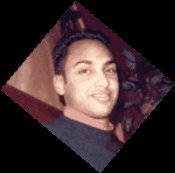 This section of IndaPhatFarm.com is dedicated to the life of a person with whom it was an honor to know, Blessan Samuel. This section has been made with the complete approval and support of the Samuel family. I want to thank Rajee Nell and Stan T for their help in creating this tribute section for Blessan. I couldn't have made this without you guys. The Funeral itself was amazing.� It was very well organized.� There was a slide show of Blessan's life, and also an audio excerpt was played from Blessan's last testimony, in January 03.� Blessan's father, mother, and Benson all testified. I've also been told that the Blessan Samuel scholarship has been set up at the Univ. of Houston in his honor. Amazing. If you really think about it, we're not alive for that long.� Make the most of your time WHILE YOUR HERE.� I think Blessan Samuel would have agreed.